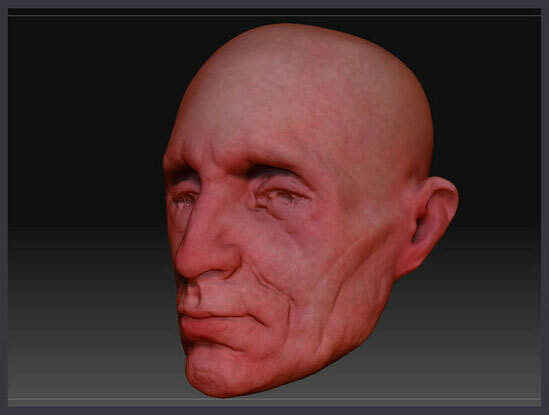 This tutorial will show you how to get started with polypainting a model. Select your model in the Tool palette. Click on the canvas and drag downwards. Press Edit on the shelf or “T” on the canvas. Select MatCap Skin05 in the Material palette. 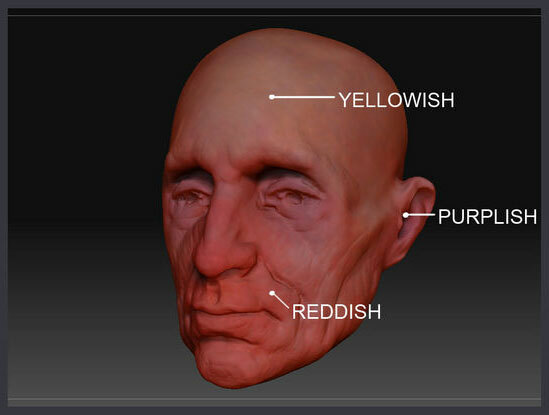 Press Tool > Polypaint > Colorize. Paint away on your model! In the beginning be very gestural. You just want to cover the surface with color. This is not the stage to be refining or worry about anything beyond covering the surface. Increase the saturation by dragging the color selector in the color swatch to the right. Adjust the hue to be yellower or redder or purplish by dragging your cursor in the color selector border around the big block of color. Once you have a good range of color on the model you can begin to pull it all together with a light wash of a very light skin hue. Set the color swatch to a lightish skin hue. Go as near white as you can. Paint lightly on the model. Try to use this color as a ‘wash’ over the model. Try not to over do it or make it too opaque in any one spot. 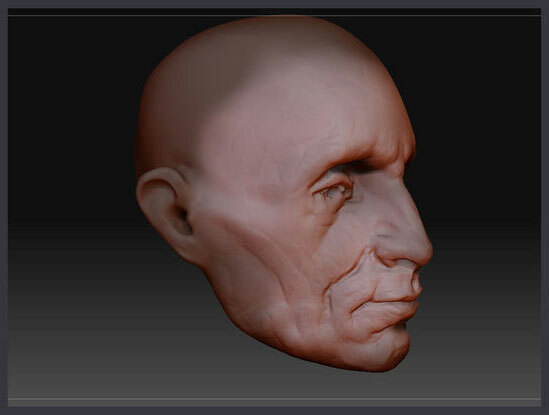 If you wish to continue PolyPainting simply press Tool > Texture: Map > Texture Off and continue painting. When you want to convert your new painting onto a texture map simply repeat step 2 above. You can use the same texture. It will simply overwrite the information that was there before. 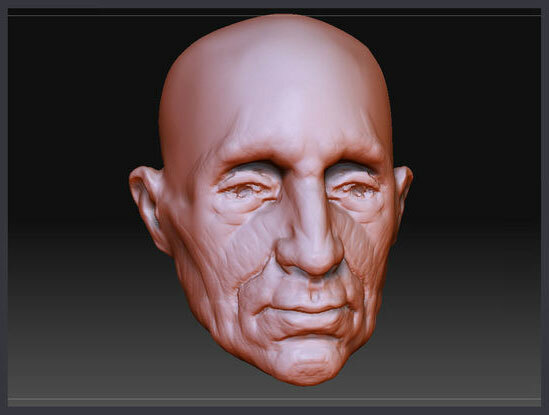 If you do not have UVs you can create them inside of ZBrush by pressing Tool > UV Map > PUV or use UV Master. Congratulations! You have now completely textured a model.